Born Toulouse is an exhibition of new videos and ceramic objects by Sydney based artist Chris Dolman. 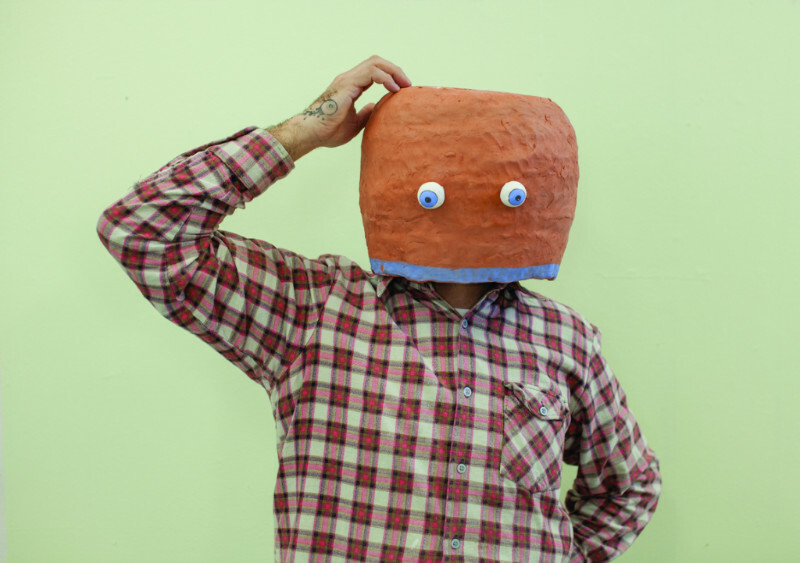 In the video sketches, the artist uses his body as a prop, engaging with both domestic and sculpted objects to perform a few ordinary everyday actions. For whatever reason however, these simple actions either fail or just seem absurd. The ceramic pieces accompanying the videos serve as caricatures of the artist as a failed prop, or an incomplete human. Chris Dolman’s practice uses the formalist tropes of Modernism with incongruent and often self-deprecating humour. Moving across painting, printmaking, ceramics and video, and drawing on the histories of Pop art, Surrealism, cartoons and comic strips, Dolman employs non-traditional self-portraiture to explore the fragmented self, engaging themes of doubt and failure, anxiety and loss. Dolman graduated from the Victorian College of the Arts, University of Melbourne with first class honours in 2010, where he was the recipient of the Wallara Travelling Scholarship (2009). He has received New Work (early career) and ArtStart grants from the Australia Council for the Arts. Dolman has undertaken national residencies at Hill End, Bundanon Trust, BigCi NSW, Ceramic Design Studio (Sydney Institute), and St George Institute of TAFE, and has exhibited nationally including recent shows at: Alaska projects, Firstdraft, West Space, Seventh, FELTspace, Wellington St projects, MOP projects, Casula Powerhouse, Hazelhurst Regional, Hawkesburry Regional, and [MARS] gallery, Melbourne. Dolman is currently a research candidate at Sydney College of Arts, with an Australian Post Graduate Award from Sydney University, and is represented by Galerie pompom, Sydney.